This is a game that both teams will be desperate to win. The home side is looking for a win that will keep them in contention for the playoffs but the away side knows that a loss will mathematically end their playoff hopes. Kaunas have been toiling for weeks but every team wants to stay alive for as long as possible. Olympiacos Piraeus are currently in seventh place in Group F with a 4-6 record but the tightness above them in the group means that a win could change their outlook with respect to the playoffs. There will need to be big performances from the leading players of Olympiacos and this is the sort of scenario where Vassilis Spanoulis thrives. The hosts have a 7-2 record at home, so they should be confident heading into this game and there is a great deal to be said for having an intense crowd in the Peace and Friendship Stadium behind you. 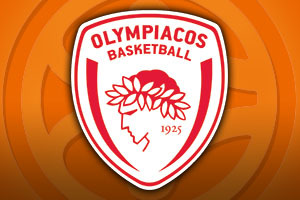 Defeat would be unthinkable for Olympiacos at this point. The away team may have a great history and reputation in the Euroleague but we all know that this counts for nothing in the present day. Kaunas haven’t been good enough on too many occasions this season but they do have some decent players. If players like Paulius Jankunas or Ian Vougioukas can get involved and impress their style of play on the match, there may be a way for Zalgiris to cause an upset in this game. It isn’t going to be easy, and if they don’t, their season is over with respect to European ambitions but there is no way that Kaunas are going to roll over and let their season end so meekly. 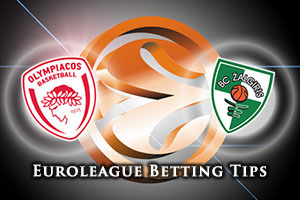 The hosts are clear favourites for this game and you should be looking to take Olympiacos Piraeus at -13.5, at odds of 1.90 heading into this game. For the Over/Under market, you should consider going OVER 147.5, which is on offer at odds of 1.90. Bet Now!